Sergio Aguero could be out of action for six weeks, according to Argentina’s team doctor. Aguero broke a rib after being involved in a car crash in Amsterdam last week. 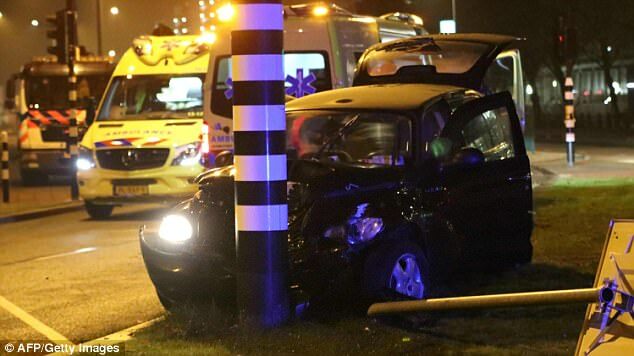 A taxi he was travelling in slammed into a post as he was returning to the airport from a concert. Initial reports from City’s doctors suggested Aguero could be back within two to four weeks. There had even been hopes that he could take part in the game against Stoke, Pep Guardiola’s side’s first match after the international break. 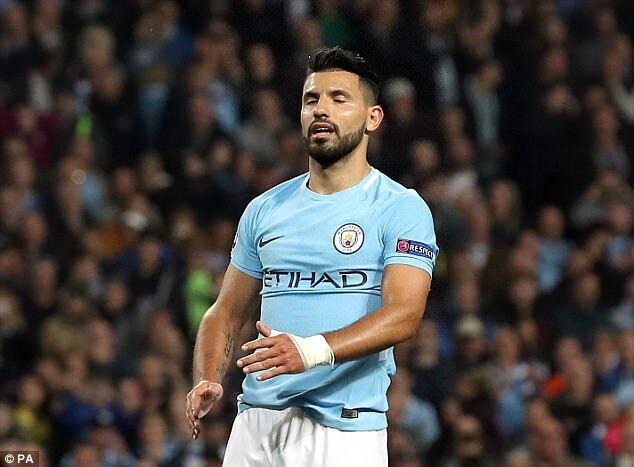 But Dr Donato Villani is convinced it will take longer for Aguero – who is not involved in the squad for the games against Peru and Ecuador – to return after speaking to the player. Dr Villani told TV channel TyC Sports: ‘Aguero is in a very bad mood because he was very eager to come and play and this incident, which had nothing to do with him, leaves him out of the two games. Argentina need to avoid defeat against Peru on Friday to have any chance of automatic qualification for the 2018 World Cup. Aguero’s injury has left him one goal away from equalling Eric Brook’s record of 177 goals for City.